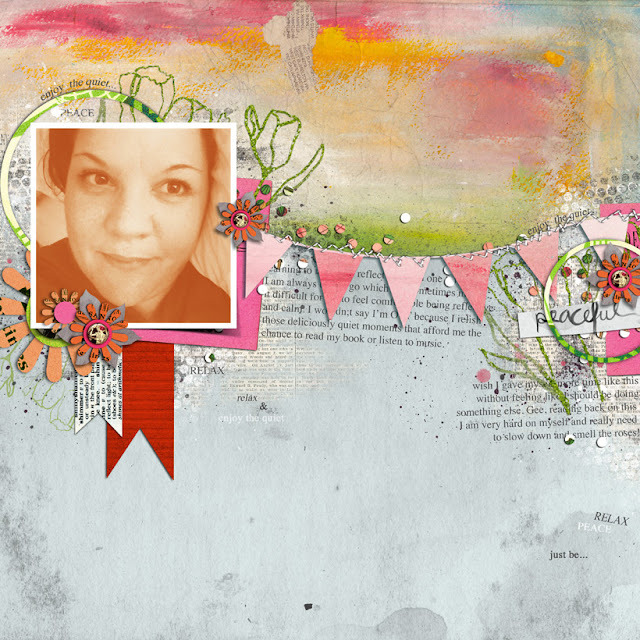 This week is a massive week with lots of catch up blog posts especially with my Sissy Sparrow pages eek, its cray cray (thats for Jules) busy around here and as a result of I've been slacko in posting about some of the fab Sissy Sparrows kits I have been playing with. This gorgeous kit called 'Catching Dragons' certainly wont disappoint. Its filled with some fab handpainted mixed media papers and lots of fun embellies sure to get you all creative. 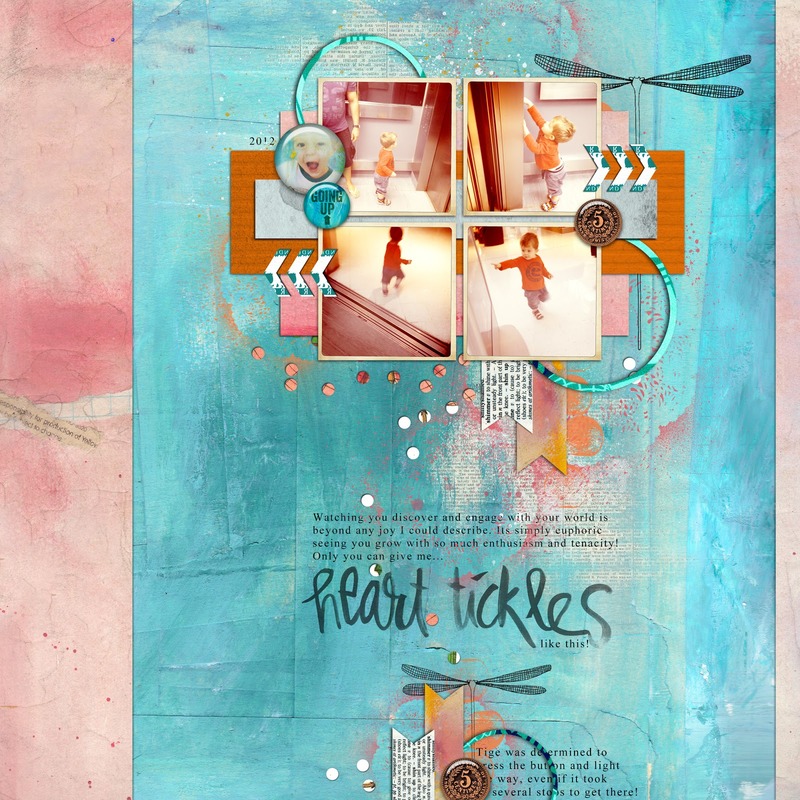 So if your up for some fun with painterly gesso textures, and a really eclectic mix of goodies in your kits then Sissy Sparrows recent release will surely grab at your heart strings. I created these two pages using the 'Catching Dragons' Art Journaling Bundle and am loving the Word art and distressed papers they are so yummy. Wow, these layouts ROCK. Love the colours and all the little bits and pieces.